REGINA - The Saskatchewan Roughriders (10-5) held a closed workout on Thursday as they prepare to visit the Winnipeg Blue Bombers (8-7) on Saturday in Week 18 CFL action. 1 - Riders Head Coach & GM Chris Jones revealed SB Jordan Williams-Lambert and C Dan Clark will miss this game due to injury. 2 - Jones also confirmed OL Philip Blake and FB Patrick Lavoie will be on the roster this week. The pair was acquired from Montreal on Wednesday's CFL Trade Deadline. There are five changes to the roster for this week: IN - Rob Bagg, Philip Blake, Patrick Lavoie, Caleb Holley and Mic’hael Brooks. OUT - Dan Clark, KD Cannon, Mak Henry, Josh Stanford and Jordan Williams-Lambert. 3 - Jones admitted that the Bombers pose a stiff challenge in this one as Saskatchewan goes for a sweep of the 3-game season series. "They've won three in row," Jones said. "Winnipeg's playing as good as anybody in this league right now. They just got through smoking the last two opponents, one of which took us to the wire. They smoked Edmonton. Let's don't get it confused. They're playing some very good football, in all three phases. We're going over there ... and like I just told the team, it's going to be one of those physical games." 4 - The Riders know the key to stopping Winnipeg will be containing running back Andrew Harris. The veteran is #2 in CFL rushing and has scored eight TDs along the ground. "Harris is obviously a huge part," said Rider LB Sam Hurl. "Without Harris, they're a different offense. He just allows them versatility. They have the ability to run different plays. They have a lot of good athletes on that offense. They can throw the ball down the field as well as throw reverses and misdirection plays. You have to take into account everybody who's out there because they're all dangerous players." 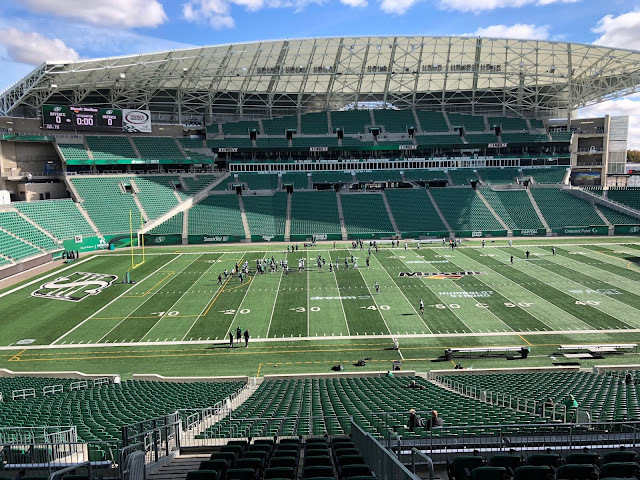 5 - Kickoff on Saturday is 12:00 pm Saskatchewan Time on TSN and the 620 CKRM Rider Radio Network.